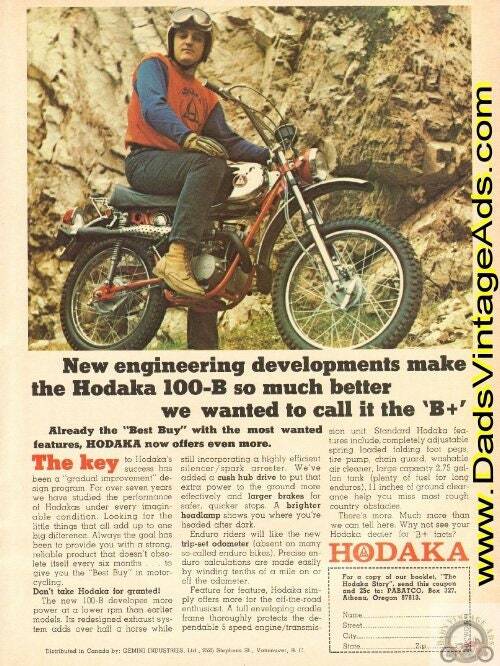 New engineering developments make the Hodaka 100B so much better we wanted to call it the "B+"...Already the "Best Buy" with the most wanted features, Hodaka now offers even more. Size: Approx. 8" x 10 1/2" (20 cm x27 cm).